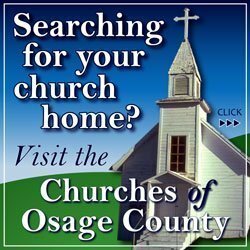 We are excited to have children from Osage County attending the Salvation Army Camp for children 8 to 12 that will be held June 12-15. The children will be picked up and returned by bus to Camp 3 Trails, Kansas City, Mo. We hope they have a fun and exciting time during their camp experience. The next Good Sense Budget Course will be held 8 a.m.-3:30 p.m. Saturday, May 13. This will be a one-day course. Once the class has been completed class participants will be eligible to apply for assistance with heating or cooling costs. Assistance is provided on limited basis for any heating source, whether it is gas, electric, propane or wood. During summer months assistance may be provided for electric utility bills for the cost of cooling your home. You must come to Help House to register and pick up an information packet that includes pre-course work to be completed before the first class. For more information, call 785-828-4888. Participants are asked to bring a drink and sack lunch with them. The Summer Fan Club began May 1 and will continue through the summer. Donations of new and gently used fans or cash donations to be used to purchase fans are now being accepted. Fans will be given out to those needing a way to cool off this summer. During 2016 more than 30 fans were given out and the need continues to grow. Donated fans should be brought into the center during regular operating hours. Please do not leave in the shed. If you are in need of a fan, please stop by Help House to sign up, put your name on the Fan Club list to receive one as available. A total of 161 households received assistance from Help House. Friends of the Park from Pomona State Park donated 200 canned food items. Lyndon Girl Scouts Troup 30158, which includes the Daisys, Brownies, and Junior Girl Scouts, with their leaders, Cindy Gerdes and Angie Smith, enjoy giving back to their community. Following their successful cookie sales, they purchased 27 cases of vegetables to donate to the Help House Food Pantry. Thank you for caring for others. The first computer classes will be May 18 and 20, but are full. The classes for adults are being offered free of charge. They are designed to assist individuals with computer accessibility for job applications, applications for assistance programs, and to learn basic computer skills. If you need or want additional time and training you may sign up again. Paul Schmidt has volunteered to teach these classes. Paul has been a teacher for 40 years. He has taught for 36 years in the Santa Fe Trail School District and is currently employed by Southeast Kansas Education Service Center-Greenbush as the teacher coordinator for alternative and virtual learning serving schools in Osage and Franklin counties. Absolutely basic computer – Want to learn basic computer skills? This is for the individual who does not know how to operate a computer. Learn from how to turn it on to using it for your own enjoyment or education. It’s time to take this class. No stress, or pressure and absolutely nothing too simple or basic to learn and master. Learn at your own pace. This is designed for adults of all ages with personal instruction and patience. Expand your horizons – you are never too old to learn something new. Skills for employment – This course will provide hands-on and immediate assistance with job search and applications. Included in this course will be assistance with using a computer to find job opportunities, and setting up a folder containing a well-written resume for applicants to present to prospective employers. Provided along the way will be helpful tips in communicating electronically with prospective employers, and composition errors to avoid when applying for jobs and constructing resumes. Classes are open to the public but will be limited to four individuals per session and will be held in two 90-minute sessions. You may call Help House at 785-828-4888 during business hours or stop by and leave your information. The next classes will be 7-8:30 p.m. Thursday, June 8, and 9-10:30 a.m. Saturday June 10. The second sessions will be held Thursday, June 22, and Saturday, June 24, at the same times. If you sign up and find you will be unable to attend please let us know so we can fill your spot from a waiting list. Help House Volunteers will be contacting area businesses and accepting individual donations for our main annual fundraising events. 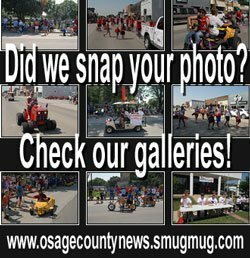 Our silent auctions are held this summer during Melvern Sunflower Days 4-H Fair on June 24 and during the Overbrook Osage County Fair on Aug. 12. In partnership with Frontier Extension District, Help House will be hosting an essential living skills class. Two classes per month will be held in June, July and August. Space is limited to 10 participants for the entire course; participants should plan on attending all six classes to complete the course. Registration is now open. Please call Help House at 785-828-4888. 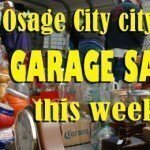 The classes are open to any adult living in Osage County. There is no charge to participate. Help House pantry is in need of diapers in all sizes, shampoo, women’s personal hygiene products, toothpaste, tooth brushes, deodorant, dish soap, razors, and shaving cream. Remember Help House is now open on the second and fourth Saturdays of the month. This will allow us to better serve the families and individuals receiving emergency food assistance. Help House is at 131 W. 15th St., Lyndon. For more information, contact Help House at 785-828-4888, or email [email protected].